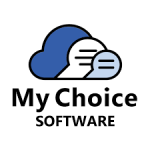 My Choice Software is an online reseller of volume license deals directly from software manufacturers, helping computer users, organizations, and small businesses save money on otherwise expensive software licenses. All of the licenses available here come direct from the software producers at discounted prices, with savings routinely good for anywhere between 5% off and 30% off or more. Software bundle packages are usually even more deeply discounted, and all licenses include an email to code or a digital download to eliminate any shipping needs. Sign up for a free email newsletter about upcoming product launches and exclusive promotions to get an extra 10% off My Choice Software orders.